An adaptation of the classic mens hairstyle, the sidesweep. 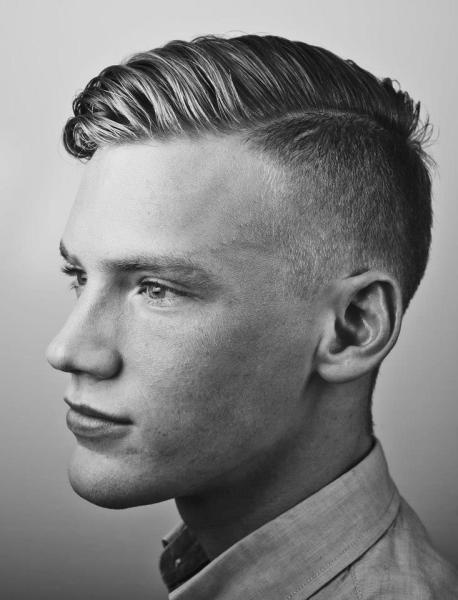 Recreate this style using a good pair of professional hair clippers, taper the sides high and sweep the hair on the top of the head, texturising with scissors. As an added extra, you can shave the parting in the with hair trimmers.